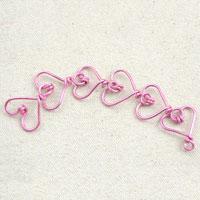 This wire wrap chain is made up with many heart-shaped wires. 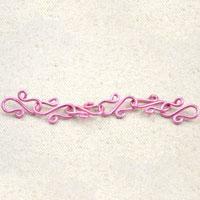 As you can see it is very beautiful and creative. 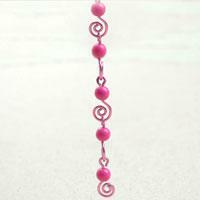 It only takes little wire and several minutes to make this exceptional wire wrapped chain. 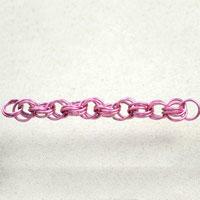 This wire chain is also very easy to make and a special compared to your conventional chain. 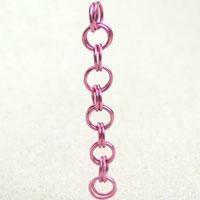 Japanese bullseye wire chain is a very steady chain and it is made up with jumprings. Follow our steps to learn how to make it. 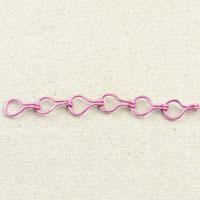 The handmade sterling silver wire chain is made up with many repeating parts. It is easy to make. 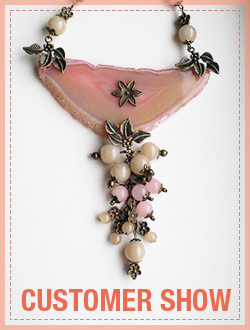 This handmade flower design wire chain is very cute and can be matched with other jewelry materials to create stunning jewelry.